1. Metal bottom, tin top with easy open handle and plastic lid. 2. Paper tube, inside barrier of the paper tube will be aluminum foil. 3. 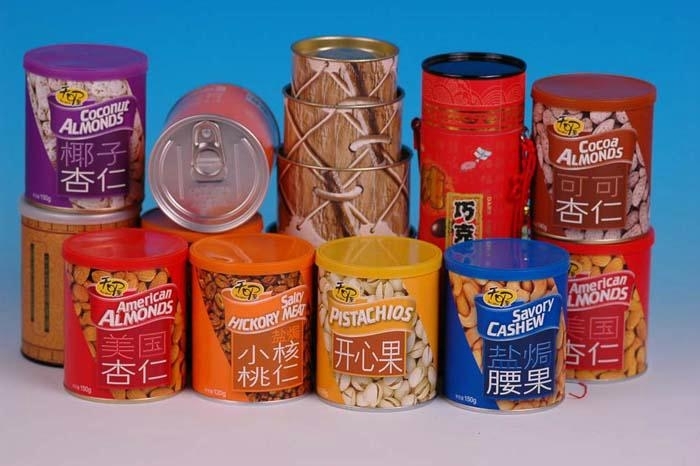 Size of the cans: We have various of the standard size of the cans. 4. The label will be printed according to your artwork.